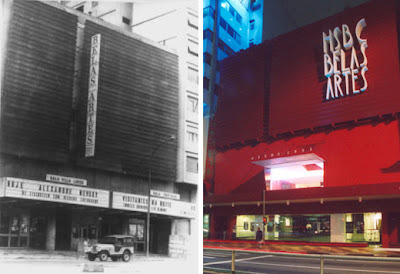 With special program called "A Última Sessão do Cinema" a reference to the film by Peter Bogdanovich, The Lats Picture Show (1971), the Cinema Belas Artes closes its doors today after 68 years. At the corner of Avenida Paulista and Rua da Consolação, then the property will remain empty indefinitely. The owner of the building, Flávio Maluf, refused millionaire proposal of members of the cinema, they offered payment of annual rent over $ 1 million. Maluf ensures he will not lease the building while the City Council for the Preservation of Historical, Cultural and Environmental of São Paulo (Conpresp) does not set something about the overturning. Even because the new tenant could not make any reform in the property, while the Council does not take a decision. Over the past 20 days, André Sturm managed to drum up support from three great companies willing to sponsor the Belas Artes. This allowed him to make an offer to rent over R$ 85,000 monthly guaranteed payment of five-year period and annual correction. But the owner did not agree. There is no deadline for the Conpresp to decide on the future of the property. The Department of Heritage (DPH) in the city received within 90 days to make a technical opinion about the overturning. This report serves as support for the vote of the directors of Conpresp. Don't miss your chance to watch a last movie at the Cinema Belas Artes, part os Sao Paulo culture and art history.